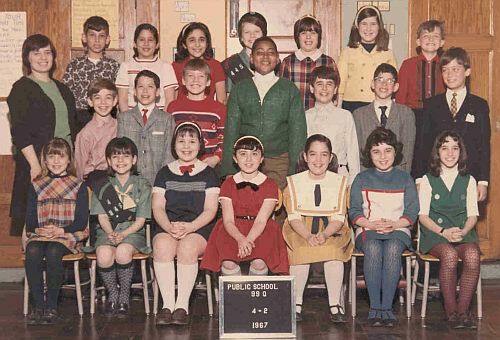 A Picture History of Kew Gardens, NY - Class Pictures - PS99 Grade 3-1 1967. Front Row (Left to Right): Louise Langer, Shari Neretin, Susan Smith, Rosalyn Levian, ?, Juliette Levian, Susan Bianco. 2nd Row: Mrs. Weinberg, Steven Reynolds, Richard Levine, Roy McCumber, Kenny Walker, Jordan Brown, Howard Roth, Roger Lewin. 3rd Row: Marc Goldberg, Geri Josephson, Susan Kagan, Jennifer Mills, Kari Abelman, Madeline Berger, John Cuneo.